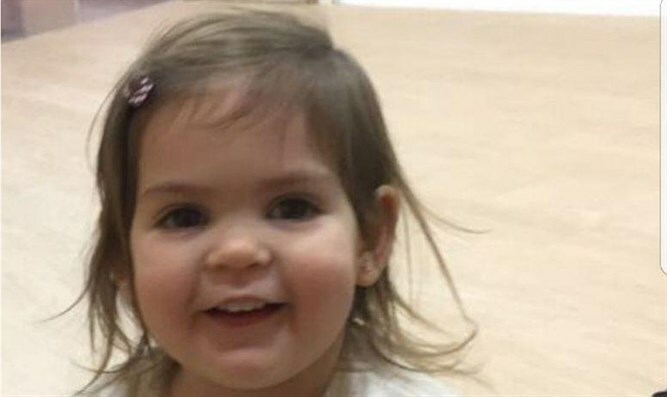 Two-year-old Yael Rosenfeld killed in Tel Aviv parking lot while walking with her mother. 'We can't believe it - such a terrible tragedy'. Mourners gathered at the Yarkon cemetery in Petah Tikva Monday afternoon to pay their last respects to the young Ramat Gan girl killed a traffic accident in Tel Aviv on Sunday. While visiting the Tel Aviv Port (Namal Tel Aviv), a popular tourist attraction in Israel’s second largest city, two-year-old Yael Rosenfeld was hit and killed by an oncoming car. According to an initial investigation of the accident, the girl slipped out of her mother’s arms while her mother was walking on the sidewalk and fell into the street. As she fell, Yael was run over by a passing car. Emergency first responders from MDA were dispatched to the scene of the accident and provided first aid to the injured girl. Paramedics then evacuated Yael to Tel Aviv’s Ichilov Hospital. Listed in critical condition upon her arrival to Ichilov, Yael was declared dead shortly afterward. “When I got to the scene [of the accident], I saw a girl with serious head injuries lying on the road next to a car, while MDA responders and a doctor who happened to be there at the time were providing first aid and attempting to resuscitate the child,” said MDA paramedic Yitzhak Ben David. Police investigating the incident questioned the driver, but were unable to get a statement from the mother, due to her mental state after the tragedy. “Our precious daughter was run over and killed – and she was only two-years old,” wept Max Rosenfeld, Yael’s father.